Enduring the crucible of Michigan’s climate is a trial suited only for the heartiest of the hearty. The winters can be viciously cold, and the humidity of the summers can seep in through your ears and gunk up your brain. That’s why I was quick to act this spring; before the dew point hit the ceiling and I became permanently stuck to my couch, I went out and bought an air conditioner. After a few hours of screwing all of the parts together, mounting the thing in the window and plugging the gaps in the arrangement with plywood, plastic bags and bricks I found in my yard, my living room window became a picture of post-apocalyptic pragmatism. From the outside, what was a reasonably attractive façade is now an embarrassment – the fruit of an idiot’s labors. But darned if it isn’t going to be nice and crisp in my living room while the world outside melts into sweaty puddles. Blower image courtesy of National Turbine Corporation. I should note that I’m expecting my new AC unit to cool an entire apartment. My living space is on the bottom floor of a big Victorian that was converted into four separate units. It’s basically a long strip of rooms on one side of the house, and the living room, which is where the AC unit is installed, is in the middle of the strip. It said right on the unit’s box: INTENDED FOR COOLING ONE MEDIUM-SIZED ROOM. If I was serious about controlling the temperature in my entire apartment, ideally I’d need an AC unit for each room. But I don’t have the money, and I can’t imagine repeating the trauma of installing the first unit (I also am out of plywood and bricks). My little window-mounted unit is equipped with a blower that is intended to circulate air at intervals determined by a thermostat. I’d imagine that it would have to run at full capacity at all times in order to even get close to air conditioning my entire place. 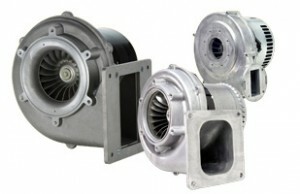 Blowers image courtesy of Ametek Technical and Industrial Products. There’s a reason why large homes, offices and industrial and commercial structures aren’t equipped with single, low-capacity AC units by engineers who hope for Little-Engine-That-Could-style miracles. They’re equipped with large, commercial or industrial-strength high-pressure blowers, high-capacity refrigerant apparatus and other tools that are necessary to control the climate in large spaces. Everything about HVAC equipment in such spaces must be designed with efficiency and effectiveness as well as equipment longevity in mind. Industrial and commercial air blowers used in HVAC applications must be equipped for the tasks their assigned. 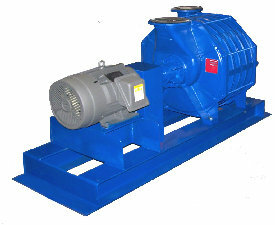 The design of those blowers is also precisely engineered in order to ensure the equipment’s effectiveness. For example, if a company is installing an HVAC blower, there’s a good chance it won’t look like the kind of fan you can find on the shelves at a supermarket or hardware store. First of all, instead of featuring a design in which blades radiate out from a central axis, many HVAC high-pressure blowers are characterized by a cylindrical architecture in which impeller blades are positioned in a cylinder that spins around inside a stationary housing. These blowers are sometimes also referred to as radial blowers or centrifugal blowers because of the physical mechanism by which they move and distribute air. There are some circumstances, though, when axial (non-radial) fans can be described as high-pressure blowers. The old wind tunnel at Langley Research Center was equipped with an enormous axial fan.  It’s safe to say that any fan that generates air speeds of 400 mph can be described as “high-pressure.” Axial high-pressure fans can be found in much less exotic applications throughout industry. They can be used in drying applications, in experiments and even in HVAC systems in some contexts. I know that I’ve probably set myself up for disappointment with my dinky AC unit. I probably can expect negligible changes to the temperature and humidity in my apartment, and I can expect an electricity bill with an extra zero at the end. But at least its little blower will make the air immediately in front of the unit cooler. When the summer months come, I guarantee that that’s where you’ll find me.